MERE MENTION OF the term “epistolary novel” gives me shivers—the consequence of a graduate school seminar on Samuel Richardson’s Pamela: Or, Virtue Rewarded. Pamela is a 500+ page behemoth of a British tome, from 1740, that employs the traditional epistolary structure by having the novel’s heroine, Pamela, pen letters to her parents. While Pamela helped make the genre popular in the 18th century, when the conceit of a character writing letters helped give a reader insight into their psyche, the epistolary has largely died down in popularity in the last hundred years, save for a few works like Alice Walker’s The Color Purple and Stephen Chbosky’s The Perks of Being a Wallflower. Epistolary novels have waned for different reasons—perhaps because technological innovations like trains, planes, and cars have made it more convenient to visit someone in person. (No postage need apply.) As well, digital technologies and social media have made perpetually rapid and brief conversation more ubiquitous. But while the epistolary genre has diminished in use, several contemporary authors not only use the epistolary form, but make full use of all its possible benefits. These authors point readers and writers to new creative uses for the genre. There’s Marilynne Robinson, a Congregationalist minister and University of Iowa professor, who recently had lunch and a lengthy conversation with President Barack Obama. The other, Ta-Nehisi Coates, is a national correspondent for The Atlantic and MacArthur Genius grant winner. (Coates is now writing the Black Panther comic book for Marvel.) While these authors differ in subject matter, style, and pretty every much every other distinguishing attribute, Robinson and Coates have both written books that reboot a somewhat-antiquated literary form (the epistolary). More particularly, both make use of a similar plot device: a father writing a letter to his son. I’m writing this in part to tell you that if you ever wonder what you’ve done in your life, and everyone does wonder sooner or later, you have been God’s grace to me, a miracle, something more than a miracle. I’ll pray that you grow up a brave man in a brave country. I will pray you find a way to be useful. I’ll pray, and then I’ll sleep. Coates’ message in Between the World and Me and some of his other work for The Atlantic have been widely critiqued. Recoiling from the lack of hope in Coates’ work, Washington, D.C. pastor Thabiti Anyabwile notes, “It’s not that Coates simply leaves off hope; he in some respects refuses it.” Other Coates critics have been skeptical about what seems like an openly defiant stance toward Christianity and especially the black church’s approach to oppression and violence, which emphasizes grace and hope. Like Robinson, Coates concludes his father to son letter with a call-to-hope, a glance toward the future. He gazes at the potential of what-could-be and acknowledges who he wants Samori to be: a man without apology who refuses to justify his existence. The letters of both Robinson and Coates are resolved with intimate forecasts of what fathers want for their sons. For the Reverend John Ames, it’s bravery and usefulness. For Ta-Nehisi Coates, unashamedness and strength. Both are essentially about dads wanting the best for their boys. Marilynne Robinson and Ta-Nehisi Coates’ recent epistolary offerings are evidence that, while the epistolary as genre and convention has suffered a decline in use, the genre is ripe for adoption and reinvention. I’m no Luddite, but if a reason for its decline is that technological advances have made letter writing less prevalent and the act of longform correspondence less relevant, a return to the epistle-in-a-book seems intentional if not radically countercultural. Robinson and Coates aren’t using the letter nostalgically. They are using the epistolary because letters employ power. Letters are radical devices because of their intimacy. In an age of cynicism and cynicism’s cousin sarcasm, letters – personal, intentional – are wrought out of a posture of authenticity. Epistles, especially when they take the form of one human being sharing their life with another, require a genuineness that many of our common literary forms (namely, the listicle) don’t demand. Letters are most often generated with the purpose of partaking in another’s life. 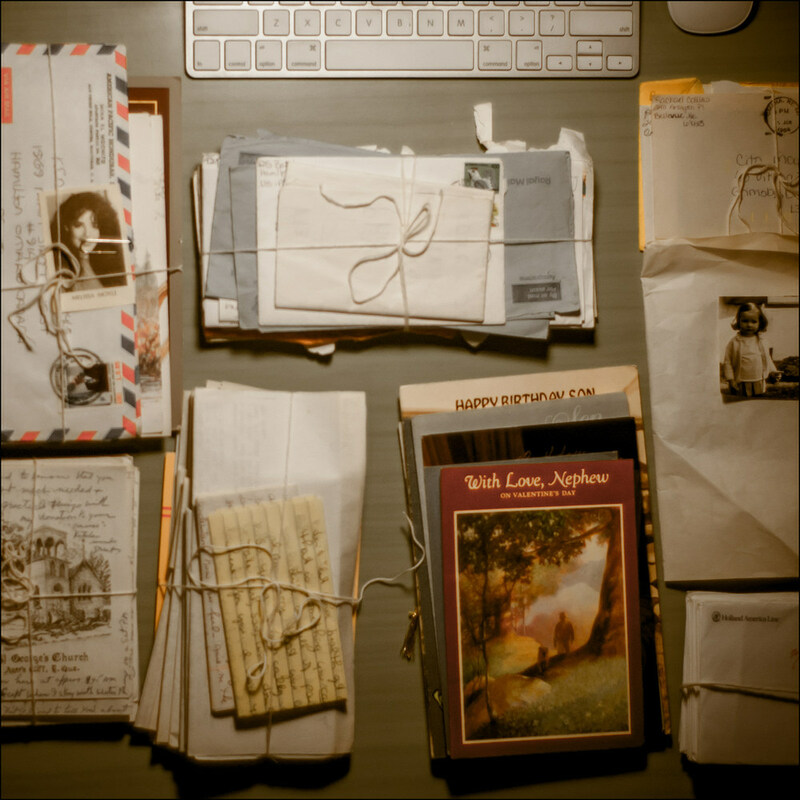 Letters are sent as biographical updates, as vehicles through which the stories that comprise a life are to be distributed and consumed. Letters are about having membership in the existences of others. Letters are fundamentally about community. They reveal the human impulse to leave something behind: to endow a legacy, to create some kind of heritage our future generations will look back on, whether that’s vain or not. We craft legacies for ourselves because we want to be remembered and because we want our offspring and future generations to live a life better than our own. It’s this human inclination – the compulsion to aid in authoring a healthier future for the next generation – I’ve found refreshing in the epistolary devices of Marilynne Robinson and Ta-Nehisi Coates. These authors’ words, and particularly the manner in which they shape their prose as epistles, are evidence of the persistence of hope as a human instinct, as well as proof of the possibilities of epistolary as a genre. Letters entertain and delight but most importantly they teach us what we need to know to be better people to one another. Just try to put that in a listicle. Yours truly. MICAH CONKLING teaches at a private high school in Kansas City. He earned his M.A. in English from West Virginia University, and has been published in Steinbeck Review, Relevant Magazine, Deep South Magazine, and Wales Arts Review. WHAT TO READ NEXT: "It’s a meditation, a spooky mystery and fantasy, a semi-autobiographical chronicle of a total and utter meltdown."